Yay! It is such a relief to finally be able to tell you all about this gorgeous project that I was working on back in June. This beautiful yarn was turned into these sneaky peek pics which were then quickly turned into this gorgeous summer shawl. I hope you are loving it just as much as I am? 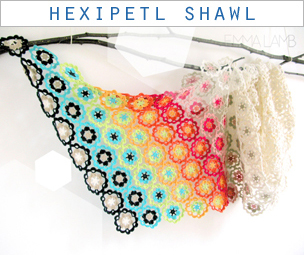 If you are and want to whip up your own Hexipetl Shawl you can find the limited edition kit here. It includes all the Spring Cashmere yarn you will need to make the shawl plus the pattern in both English (with UK crochet terms) and Italian translations. You will also be sent the charted version of the design which is a little more universal as a crochet language - useful if you find translating between UK and American crochet terms a little tricky or aren't an English or Italian reader! A little bit about this design: Originally when Gomitoli's got in touch to commission me to design a kit for them the brief was nothing more than a summer kit using their Spring Cashmere yarn. Now when someone gives you such a wide open brief as that there's a moment of excitement when you think to yourself 'I could do anything!' quickly followed by an equally powerful moment of sheer panic when you think 'I could do anything!' But then you start to focus and begin to think about ideas that have been rumbling about in the back of your mind and you flip through a few scribbled notes before forming a plan. 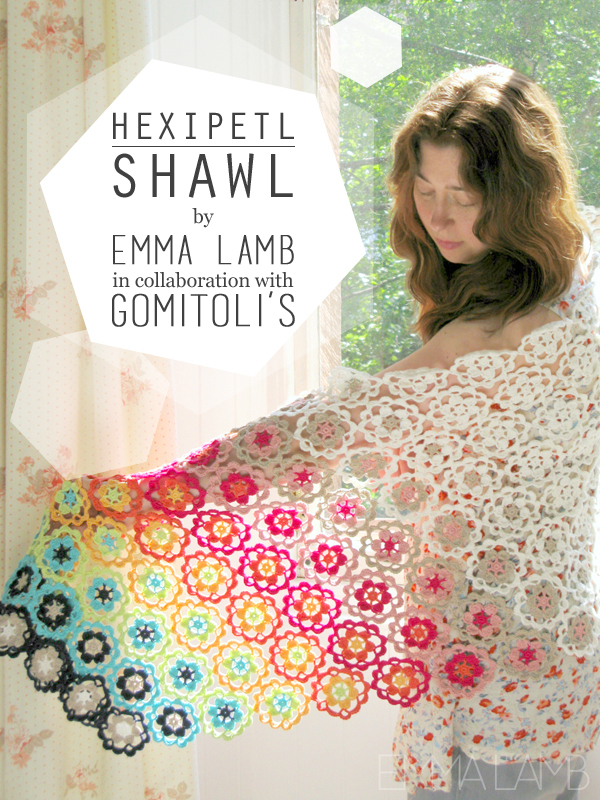 Recently I've had a real hankering to work up some shawl ideas and when I proposed this to the lovely folk at Gomitoli's they loved the idea. Obviously I knew it had to be something floral and colourful for my first shawl design so I began improving little motifs until I found something I thought would work. After finalising the stitch pattern and getting a seal of approval from Gomitoli's it was time to think about colour - unusual for me since I often start a project with strong colour ideas in mind before the yarn gets any where near my hooks! So yes colour! After yet another of those excitement / panic moments I began experimenting with all kinds of grand ideas and elaborate colour combinations. It was so easy to get carried away with the lovely collection colours in Gomitoli's Spring Cashmere! Once I had pulled a few solid ideas together I sent them off keeping my fingers crossed that they would pick out my favourite. They didn't. Instead they chose this asymmetric rainbow and honestly, I am so pleased they did because it turned out beautifully and I couldn't be more pleased with this design! Once the yarn samples arrived I spent a blissful week crocheting the very first Hexipetl Shawl sample while doing the usual film watching and copious amounts of tea drinking and chocolate nibbling. I have the best job ever! Bringing the sample together was such an great process because at every stage of crocheting I got more and more excited about the design, you'll know what I'm talking about when crochet your own Hexipetl Shawl. When all those colours come together in the ombre style section before you finish the bulk of the shawl in cream - it's just so satisfying! I'll be honest and tell you it was a bitter sweet moment packing up this beauty to send to Italy, especially after getting to model it for these images! It is so comfortable to wear because the cashmere makes it feel soft while the cotton and open stitch design keep it cool. It's not woolly or heavy at all. Absolutely perfect for summer! Wow...it is simply beautiful!The shawl looks so light,aity,tender,soft,pleasant to be worn.... I'm speechless!Can't stop admiring your great work!Chapeau! Il est magnifique ! Bravo!!!! You are so talented! 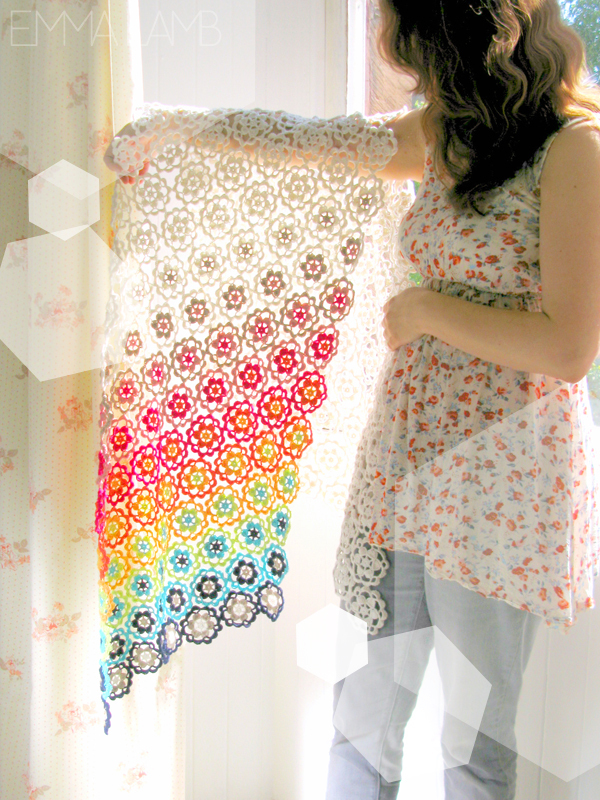 What a beautiful shawl,I love how the colours gradually get paler, stunning piece of work. The colours changes through to the cream are so clever. It's beautiful, Emma! I appreciate the gentle color changes across the work. Love the way there's a lot of white too! Congrats. Beautiful design and color scheme. Thank you I am so happy you like it and I do hope you get to crochet it for yourself too! It's so gorgeous it takes your breathe away! Bravo and congratulations! beautiful, just like its maker. It is so lovely!! Good job well done! 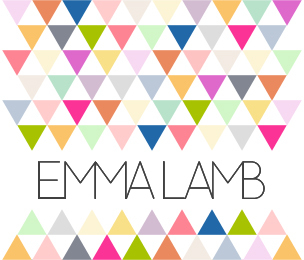 Emma, your shawl design is exquisite, and truly translates the beauty of that particular yarn perfectly. 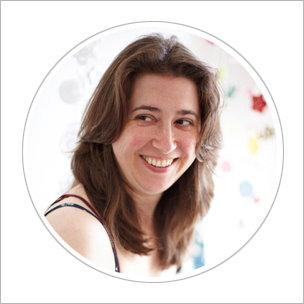 I think that you might just be getting some more design commissions. I also greatly admire the lighting in your photographs which really display the lacy design so very well. Thank you so much Frances! I am so thrilled you love this design too and yes this yarn is absolutely perfect for such a summery shawl. I do hope you are right because I would love to work on more projects like this, it has been such a joy from start to finish! Beautiful! I love the clever colour graduation. What a stunning shawl. Thank you for your kind words and I'm sorry you are having a frustrating time with the Gomitoli's website. I have passed on your comments to Gomitoli's and have asked for their help. It may be a few days before we get a response since we are just going into the weekend but I will be in touch when I know something. Gomitoli's have been in touch to tell me that non Italian residents can enter a 'memorable' number in the Fiscal Code field. For non Italian people this number is purely for reference purposes only so only needs to be something you will remember. I don't yet know why your address isn't being accepted but please note that Gomitoli's do not ship to all countries. Thanks Emma, it does help, i think i should ask them if they ship to Indonesia.